William Farrell, 71, of Penarth Gardens, Thornlea Park, Wick, has been fined for drink-driving. 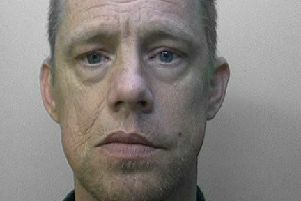 The case was heard at Worthing Magistrates’ Court on Tuesday, January 29, 2019. Farrell was fined £120 and must pay £30 victim surcharge, £85 costs. He admitting drink-driving in Lyminster Road, Littlehampton, on January 14, 2019. Police recorded a reading of 40mg of alcohol in 100ml of breath. The legal limit is 35. He was disqualified from driving for 12 months.